Train CVC In 3 Ways. 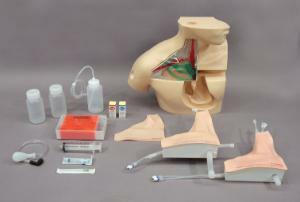 This CVC Insertion Simulator features three interchangeable pads for thorough experiential training. 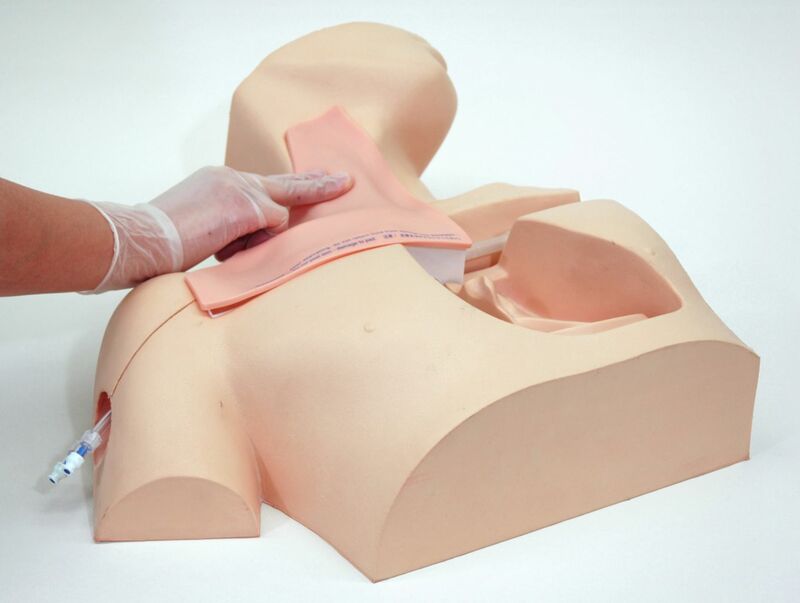 The transparent anatomical block allows anatomical understanding in pre-training for catheterization. A landmark puncture pad for teaching three methods of CVC approaches; a) Internal jugular; b) Subclavian vein; and c) Supraclavicular. 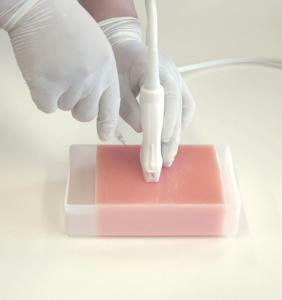 Finally the ultrasound puncture pad for introductory training to acquire basics of ultrasound-guided puncture. Axillary vein and internal jugular vein approaches are available. CVC offers palpation, true-to-life needle tip resistance, success and failure confirmation, and cannulation with anatomically correct venous bifurcation.